TEHRAN, Jun. 20 (MNA) – Strategist and activist supporting Rohingya rights in Myanmar says a document recently revealed about UN mission in Myanmar shows how its humanitarian goals are ignored by the corporate-dominated agenda of the UN. When a year ago, in June 2016, the United Nations bowed to pressures of Saudi Arabia to remove the kingdom from the list of countries killing children due to the Saudi-led war against Yemen, a disastrous reality was unveiled; everyone witnessed that the international body is not abiding by its own principles and acts in several cases in accordance to political ties and pressures and is being bribed by financial supports. Now a recent leak of an internal document from the UN about its mission in Myanmar has shed light on the reasons why the UN is not taking proper measures regarding the situation of Rohingyas in the Southeast Asian country. To know more about the UN conflict and situation of Rohingyas, we have talked to Shahid Bolsen who is chief strategist of the #WeAreAllRohingyaNow Campaign which seeks justice for Rohingyas. A leaked internal document from the UN shows differences among US people in Myanmar where Rohingya Muslims are under pressure; what is it all about? The leaked UN documents revealed that there is a great deal of internal dispute at the United Nations regarding their approach to the Rohingya genocide. This is to be expected. There is a clash between the genuine humanitarian goals of the UN and its increasingly corporate-dominated agendas; the emphasis on development investment as a solution to Myanmar’s problems has inevitably crippled the UN’s will to take any meaningful action to halt the gross human rights abuses being committed by the regime because they fear doing so would jeopardize potential business contracts and investment projects being sought by multinational corporations. This is essentially what the leaked documents exposed. – How do you evaluate UN forces’ performance in protecting Rohingyas? Again, there is a contrast between words, actions, and indeed, results. One of the most important things the UN did was to pass a non-binding resolution calling for the restoration of Rohingya citizenship; but nothing whatsoever has been done to implement this resolution, because, of course, it is non-binding, and not even eligible for implementation. In fact, the UN’s almost cyclical condemnations of atrocities, commissioning reports, carrying out investigations, and so forth, has become an instrument for perpetuating the crisis. They are permissive condemnations. 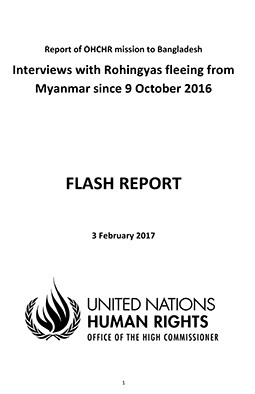 In other words; the Myanmar military and the regime understand at this point that the UN’s response to atrocities will be reliably toothless, but by condemning the ethnic cleansing in Rakhine, and by ordering investigations and reports, the UN appears to be intervening while it is in fact doing nothing. This appearance of involvement becomes a delaying mechanism for any actual intervention or action. So in reality, on a practical level, the condemnations function as support for the regime, not for the Rohingya. – While a terrorist attack in the west draws all attentions of the media and public opinion and politicians in condemning it, massive killings and brutal pressures on Rohingyas in Myanmar is faced with silence which more seems to be a boycott. If so, who would benefit from this silence? Terrorist attacks should be condemned, wherever they are committed. Western media unsurprisingly cares more about incidents in the West. The response to any crisis, conflict, or humanitarian disaster is always going to be determined according to its impact on business interests; based on this, the crisis will either be ignored, perpetuated, resolved, or escalated. It has to be understood that the strife in Rakhine, the persecution of the Rohingya, is part of an overall management strategy by the central government, by the military and Burmese elites, to maintain power. They are the ones with whom international investors are dealing; they are their partners; so they have a stake in preserving the ruling order in Myanmar, by any means necessary. 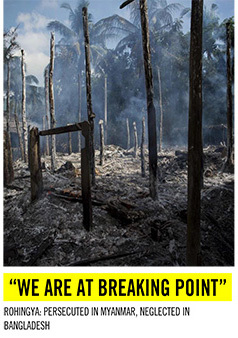 The central government’s real problem is the Rakhine, not the Rohingya. The Rakhine are an ethnic minority living in a resource-rich, and strategically important state, who have a history of secessionist ambitions. They are oppressed, exploited, and impoverished, and if they rose against the government, it would be a lethal blow to the Burmese. As long as their resentment and hostility are directed against the helpless Rohingya, the regime is secure. Internal conflict in Rakhine state, therefore, is useful to everyone who matters. – what countries are supporting and giving the green light to the government in Myanmar in its policy toward Rohingya Muslims? Well, of course the major supporter of the regime is China. But the US has prioritized improving its relationship with both the regime, and especially the military, precisely to try to offset Chinese influence. What is more significant to look at is which foreign companies are investing in Myanmar. This will reveal the true position of any country’s government on the issue. For example, the Norwegian telecom company Telenor is a major investor in Myanmar, and it is itself majority state-owned. Furthermore, some of these corporations are themselves larger than states, and really need to be treated as global powers on par with countries. That is why the #WeAreAllRohingyaNow Campaign has decided to focus on reaching out to multinational companies rather than the conventional approach of lobbying governments. – Will a change in UN team in Myanmar make any improvements in the performance and support for the Muslims or the problems are at higher levels and in policies? Any new UN team will continue to fulfill their institutional role within the framework of the UN strategy on Myanmar. And it is entirely possible that part of their role is to eventually be dismissed and replaced. 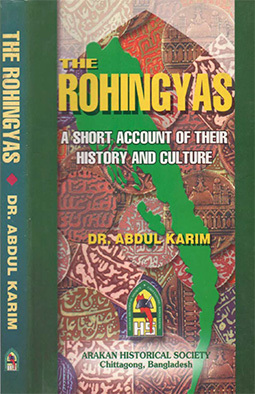 – Suu Kyi was strongly supported by the West and the UN when she was under arrest before coming to power as an icon of democracy and freedom; now, the same person comes to power and we see genocide of Rohingyas. Why is she doing so and do the supporters still support her? She has disappointed many people, and she has lost a lot of international support, there are even calls for her to return her Nobel Peace Prize. It is not for me to speculate about why she is doing what she is doing, nor does it really matter. The fact is she has become part of the apparatus for perpetuating the crimes against humanity taking place in Rakhine state against the Rohingya. She may or may not have her own rationales for why she is doing this, but that is what she is doing. – Can you tell us more about #Black4Rohingya campaign? Where and how it began and what the campaign seeks and who has joined it? This is an initiative started by South African lawyer and activist Shabnam Mayet a few years ago. The idea is to build and express solidarity with the Rohingya by having participants wear black for one day, and post pictures of themselves on social media. This can both let governments, business leaders, and others see that there is widespread international, popular sentiment in support of the Rohingya, and to let the Rohingya themselves see that they have this kind of support globally.